Buy 5, get 1 FREE DEMO bundle! 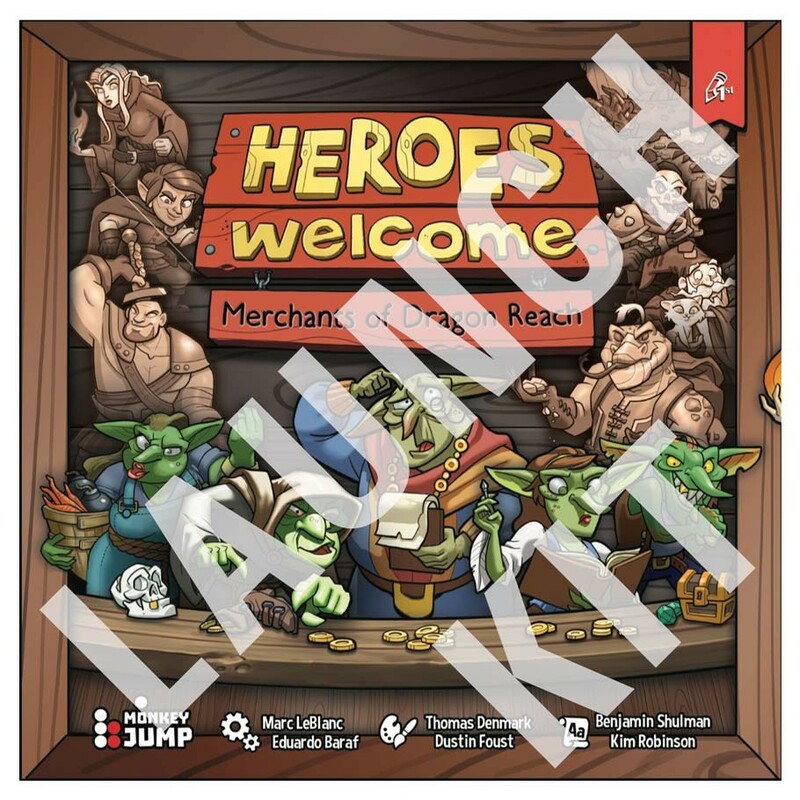 Heroes Welcome is a fantasy game of cunning commerce and devious double-dealing for 2-5 Goblins. Dragon Reach is the bustling new frontier settlement in the Realm of Smiteros. The zone portals have just opened, and as we speak the first heroes are braving the Dungeon in search of fame, glory, and level-ups. Besieged monsters lurk on the outskirts of town looking for opportunities to gear themselves up against their new foes. For you, this means only one thing: PROFIT!